With a population of 522, the fishing Town of Lark Harbour is also known for it's spectacular scenery and hiking trails. With a Provincial Park as you enter the community situated on a peninsula between York and Lark Harbours, offers 28 private campsites situated within two forested loops. 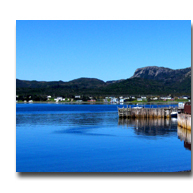 Lark Harbour is an incorporated municipality with two public wharfs, Anglican Church, K-12 St. James All Grade School, post office, public library, residence for seniors, general store, two restaurants, public lounge, and a Canadian Coastguard Station. 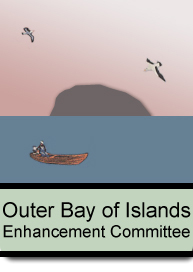 Explore our town, culture and our recently upgraded hiking trails and view the scenic vistas of Lark Harbour, Bottle Cove and the Outer Bay of Islands. Weather it's a stay at the Blow-Me-Down Provincial Park, picnic or sunset boardwalk in Bottle Cove, a hike into the Cedar Cove Trail, whale watching at Tide Watcher's Cafe or dining at Captain Cooks Galley, there is lots to explore and activities for all ages to enjoy.